Since their humble and unassuming beginning in 2000 as media boxes that could stream music to your TV for a not-so-low price, Android media players have come a long way. Improvements in operating systems, hardware, and video output, have contributed them becoming great alternatives to Home Theater PCs. They are practically a must-have, if you enjoy relaxing with a movie -or an online video- from your comfy couch. With added features like the ability to play casual games, or even post in social media, these little devices (also known as Android TV box) are earning themselves a spot as an essential part of any home entertainment center. There are many IPTV PC apps and website but my favorite is Configurator For Kodi. Configurator for Kodi will get you started right way with the added bonus of also fully customizing your Kodi media Player. 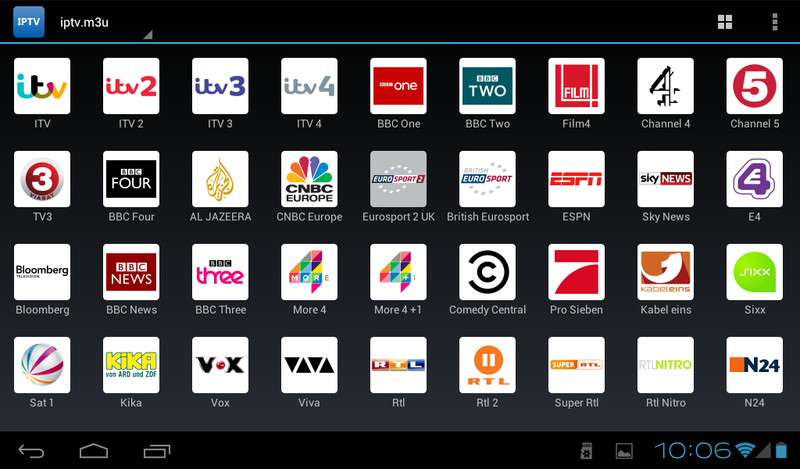 You also can search and add your own internet channels to this app.